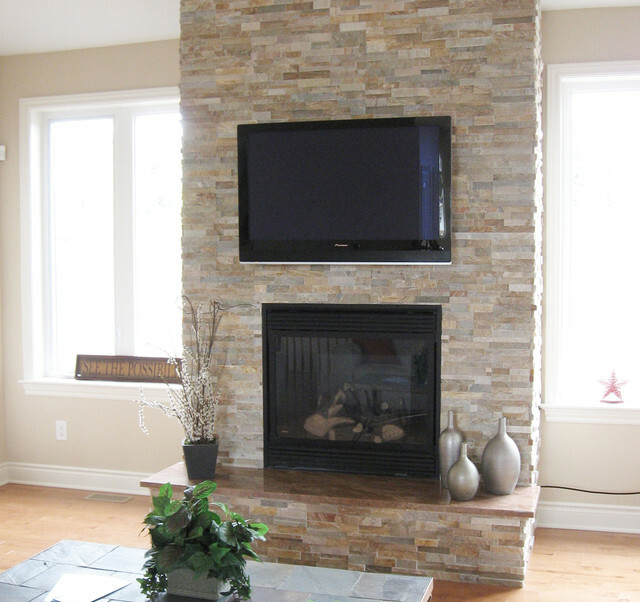 Light, natural stacked split stone veneer fireplace with TV and natural light. We installed a blower and it completely solved the problem of too much heat rising to the tv, plus the room heats up quickly now. What is the hearth made out of? 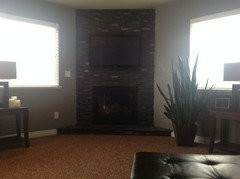 - We really like the seating look of that hearth. What material is it? How was it made and where did you get it? Thanks for letting us know even now! What is the color name of the hearth stone? - on this photo you have the 20 by 20 tiles, but what is the color name on this photo? What did you use to get the TV to hang flat on the multi-level stone? - We would like to this but were warned the TV would not hang well. Thanks for the input @nexusflux! You can use any tv mount over the stone and just drill right through. But make sure you're attaching the tv mount to studs in the wall. How did you hide the cables for the tv? I believe the cables were run through the fireplace to a plug. There are a lot of products available (on Houzz, Amazon, etc.) for hiding cables if you'd like to check them out. Color Name of the stone please. 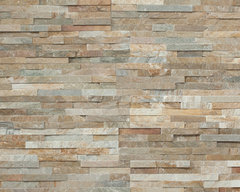 This is Sierra Shadowstone by Realstone Systems. How did you hide the TV cords ?? 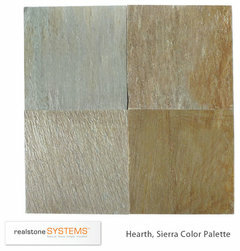 paint color - Hi- We are installing the Realstone sierra. Can you tell me what paint color you used here? Thx! 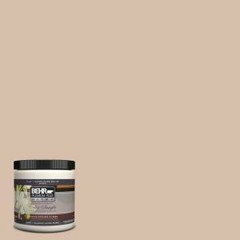 I am not sure of the exact color, but it looks like Behr's Wild Porcini (250E-3). You can also bring this picture to your hardware store and have them color match the paint for you. Good luck with the project and send us pics when you're done! Color name of the hearth stone?